Ngupulya Pumani paints Antara, an extremely importnt site for Ngupulya and her family. Antara is Ngupulya's mother's country. 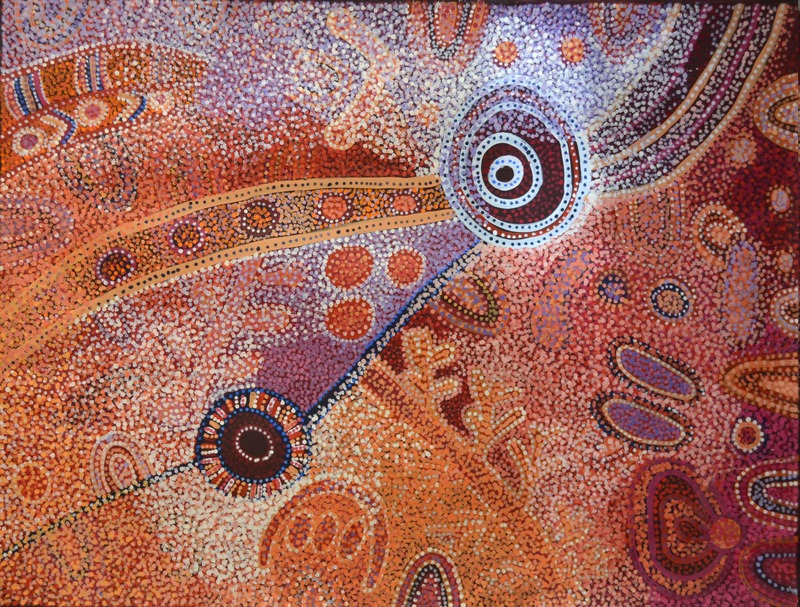 This place and its significant Maku (witchetty grub) Tjukurpa were a constant in the paintings of the late Milatjari Pumani. Today Ngupulya and her younger sister Betty Kuntiwa Pumani are proud custodians of this country; they map its' significance and hold its stories in their paintings of Antara. "Antara is my mother's country. She taught me the stories and showed me the places. Like one special rockhole where women would have inma (ceremony). Now I remember her when I paint Antara."